The preeminent ambassador of modern Memphis rap, Young Dolph knows exactly when to pay tribute to his city's unique hip-hop history. 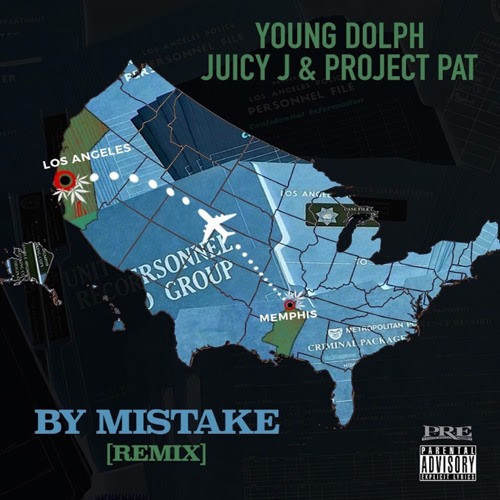 Teaming up with two members of legendary Memphis collective Three 6 Mafia, Dolph recruits Juicy J and Project Pat for "By Mistake" (Remix). With a dramatic minor-key instrumental that echoes the menacing music of Three 6 past, "By Mistake" (Remix) is a master-class in flexing, as Dolph racks up a massive tab at Barney's, Juicy J brags about dining with the Mayor in his signature staccato flow, and Project Pat bursts with drawly aggression. "By Mistake" was one of the highlights from Role Model, Dolph's most recent project.